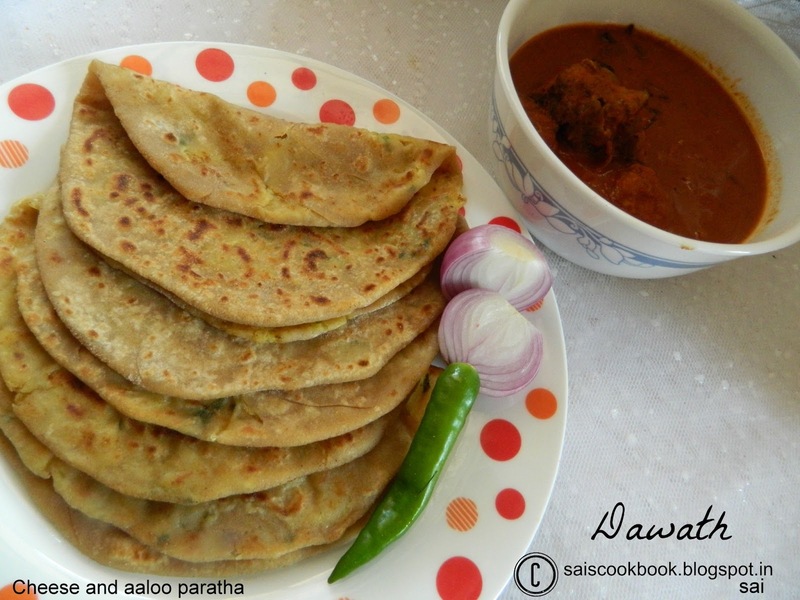 Cheese and aaloo paratha is an exotic paratha which the kids and elders will both enjoy.This yummy paratha can be savored with curds,gravy or just like that.This is a very healthy paratha and makes the best recipe for the kids tiffin. 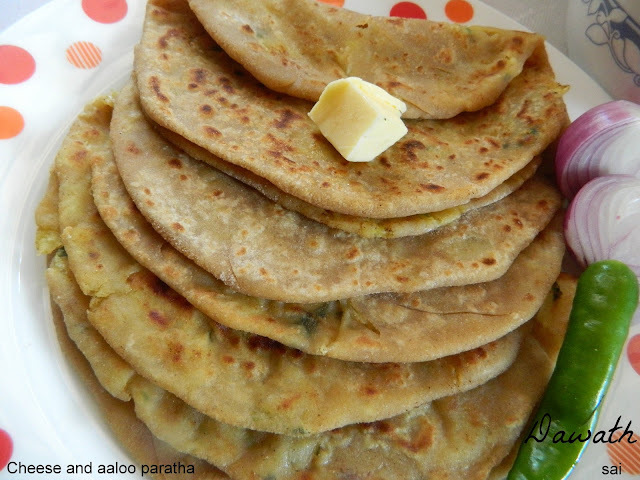 Paratha is originally a flat bread from Punjab and Punjabi’s make the best paratha’s. 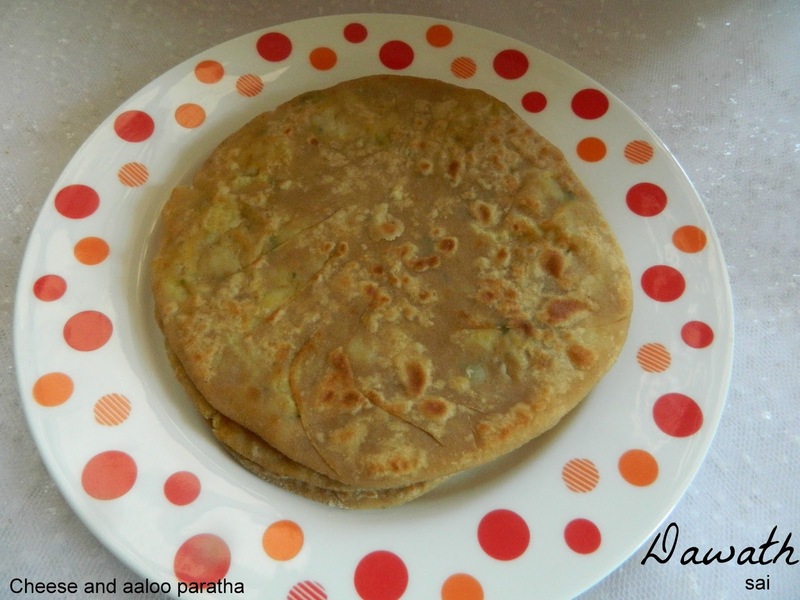 This paratha is my daughters favorite paratha.You may use your own imagination and make different stuffing. Knead whole wheat flour,salt,butter and water to a soft dough and cover and keep it aside for 30 minutes. For the stuffing heat oil in a pan and fry onions until light pick in color. Add all the powders,potato,salt and green chilly and coriander leaves. The mixture is ready and cool it. Once the mixture gets cooled add the grated cheese and mix it. Now pinch equal sized balls out of the dough as well as the mixture. Take a rolling pin and roll a small disc and place the stuffing in the centre,seal it completely by gathering the sides and roll it into a thick paratha. 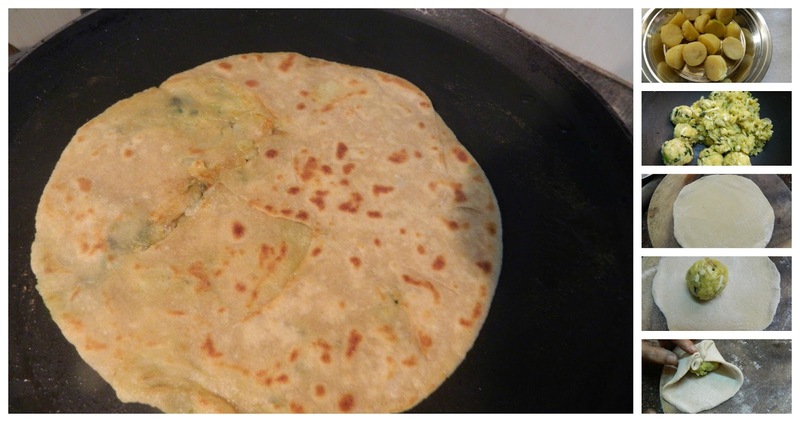 Heat a griddle ,add ghee and fry the paratha on both the sides until brown in color. Serve it hot with curds or any gravy. In the directions, where & when do you add the cheese???? ?